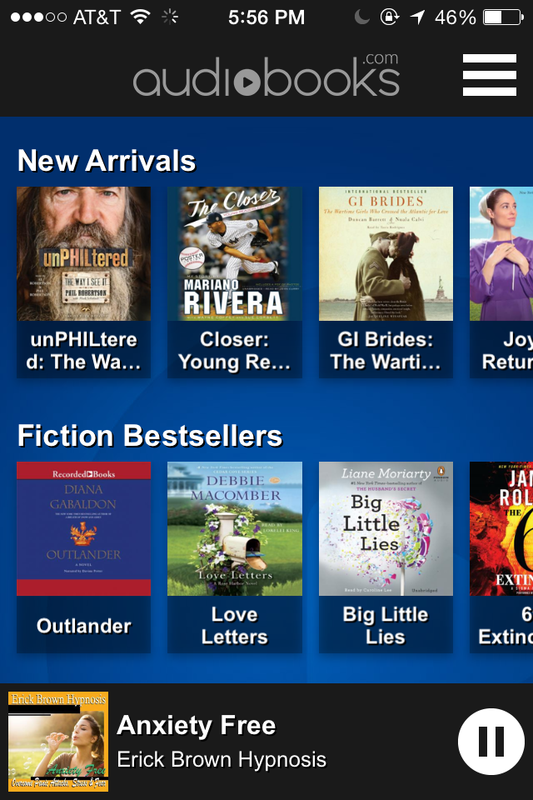 Learn Something New with Audiobooks.com! With the kids back in school, now is the perfect time to learn something new yourself! While I’ve always been more of a visual learner than an audio one, there are a few things that you just can’t learn by reading. such as a new language! 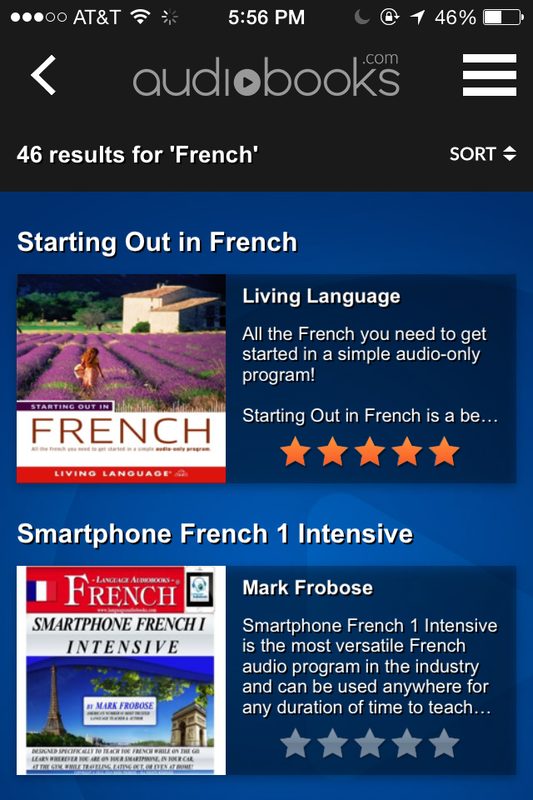 Since Audiobooks.com gave me some credits to try out their service, I decided now is the perfect time to work on expanding my language skills by learning some French! I’ve tried reading books on how to speak the language, but I need to hear pronunciations. Why French? Well, I have a basic start from taking four years of it in high school. After two decades, I pretty much forgot most of what I learned. Another reason: French is the first language of Olfa over at OurFamilyWorld.com and MyKidsGuide.com. I’m her editor-in-chief for both sites, and it would be great to pleasantly shock her one day by speaking fluent French during Face Time! Plus she’d tell me if I was getting it totally wrong, so at least I’d have someone to really help me learn the language. Audiobooks.com makes it a breeze to learn something new. Whether it’s embarking on an adventure to become bilingual or learning how to cook a great dish, you’ll find plenty of educational opportunities in their vast library. How vast? Try over 40,000 books vast! I admit, when I first downloaded the app on my iPhone (yes, I FINALLY got one, in case you missed that big news! ), I was a little overwhelmed! I didn’t know where to start! Then I saw the language section and knew exactly what I wanted to do with my credits. I browsed through the French section and selected my first book. Then I started thinking: I wonder if they have anything to help me overcome anxiety! 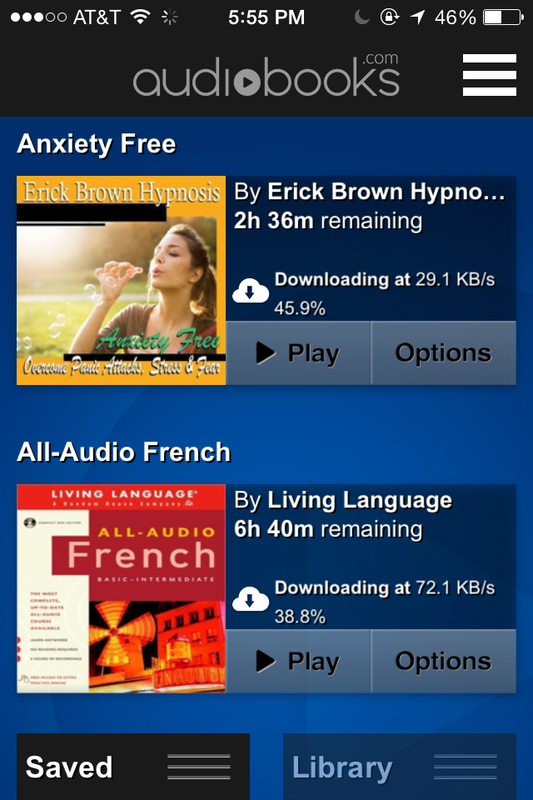 Big leap from French to anxiety disorder, I know, but that’s how my brain works. Maybe I was having anxiety over the idea of learning a new language? Anyway, I headed to self-help section to browse. Then I realized using the search feature would probably be faster, so I searched “anxiety” and found a great audiobook called Anxiety Free. Once I had a couple of books to try out, I wanted to check out the listening experience. 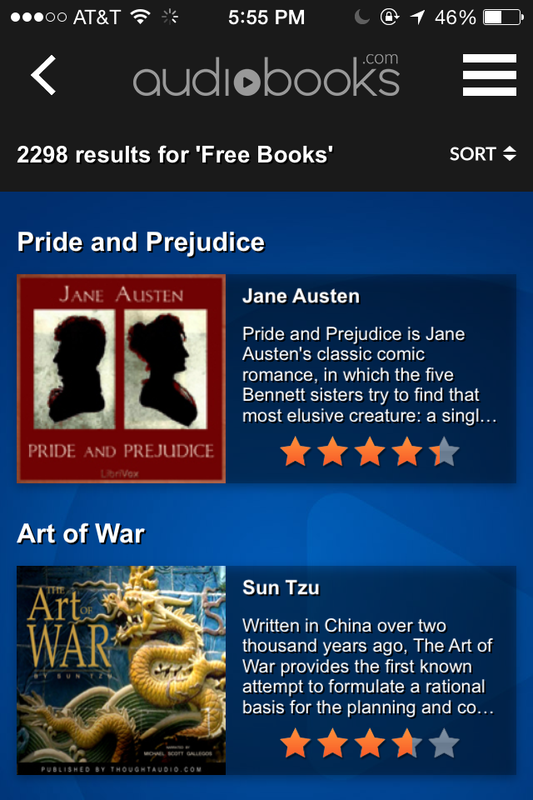 Did you know that Audiobooks.com is the only service that download AND stream your audiobooks? The streaming option is fantastic because you can start listening on your iPhone (or Android phone), then pick up where you left off on your tablet or another phone! Considering how often I switch devices during the day, this is perfect for me. As you can see in my screenshots, my phone doesn’t have much battery juice left! I’d hate to be in the middle of listening to a lesson only to have my phone shut off. If you’re ready to go learn something new, head over to Audiobooks.com and sign up for a subscription. Start off with a 30-Day free trial, which gets you your first book for free. If you like the service, pay $14.95 a month, which gets you one book each month. They also have a HUGE selection of free books! An audio book helped me learn some basic Spanish before my trip to Chile. I can listen to books in the car!